admin – Page 2 – . The Village of New Boston will be bringing in the Christmas season with their annual Christmas event beginning at 9 a.m. on Saturday, Dec. 2. New Boston Village Administrator Steve Hamilton explained that the day begins with Breakfast with Santa at 9 a.m. at the New Boston Community Center. The breakfast is free the community, and there will be time for the kids to meet with Santa. Then, later Saturday evening the New Boston Christmas parade will conclude the festivities. This year’s grand marshall will be shared among lifelong resident and business owner Gary Blackburn and his son Nathan. The parade begins at 5 p.m. Participation is free. 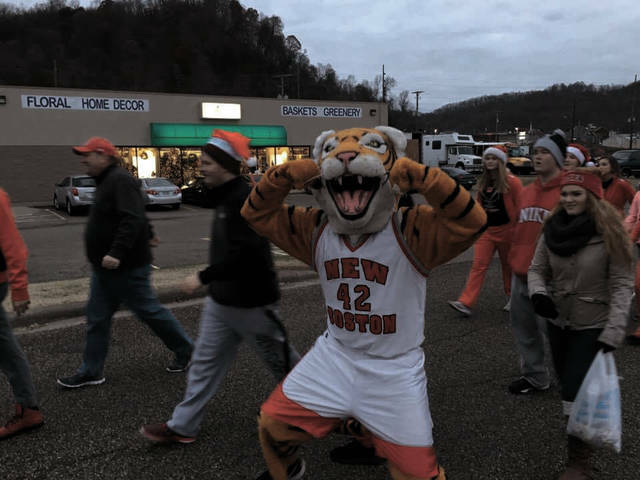 Line-up for the parade will begin at 4:40 p.m. at the Tractor Supply parking lot. 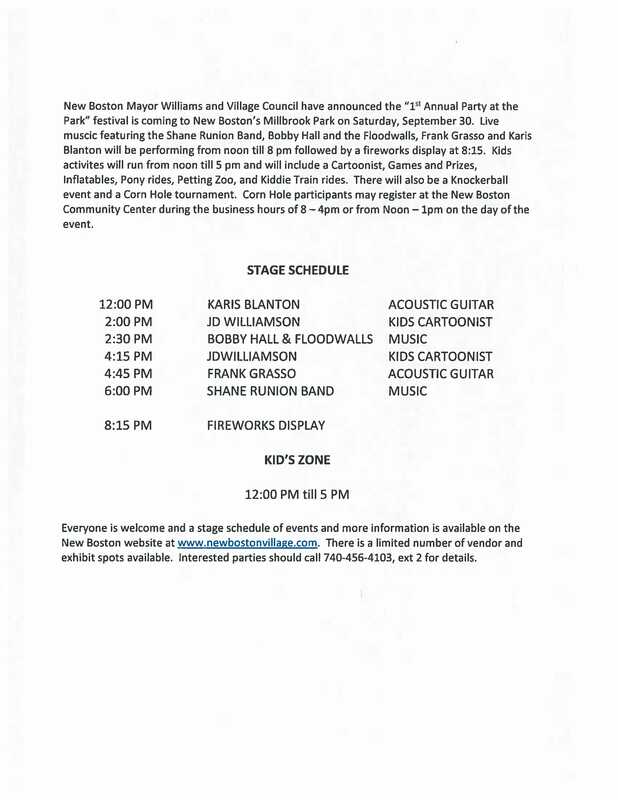 Hamilton explained that anyone interested in participating in the parade can pick up a registration form from the New Boston Mayor’s Office, located at 3980 Rhodes Ave. in New Boston. The Villiage of New Boston is excited about the posibilities for a the newly opened seafood restaraunt located in the Village’s downtown. The new business is offering seafood from the location but with a wider variety than offered locally and an upscale seafood dining experience. Shrimpy Joe’s Seafood Restaurant is officially open in New Boston. 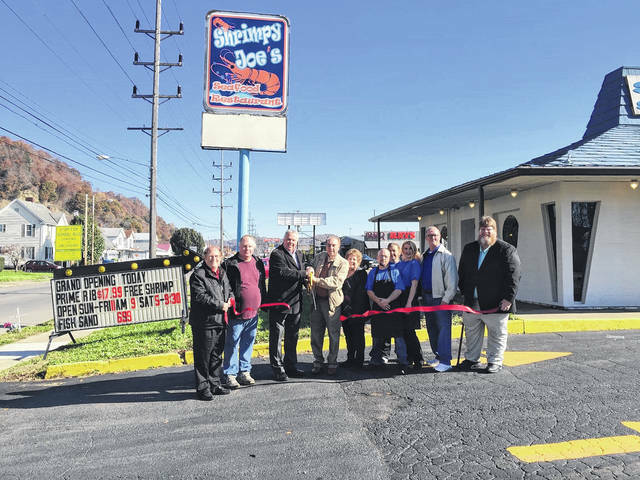 The restaurant invited the community out for a celebratory ribbon cutting and grand opening ceremony on Thursday. New Boston Village Mayor William (Junior) Williams, New Boston Village Council Members and other members of New Boston Village staff and employees gathered at the ceremony honoring the opening of the new business. They were joined by Lisa Carver from the Scioto County Chamber of Commerce and Shrimpy Joe’s owner Russ Stanley. According to Stanley, Shrimpy Joe’s has already been open approximately three months. 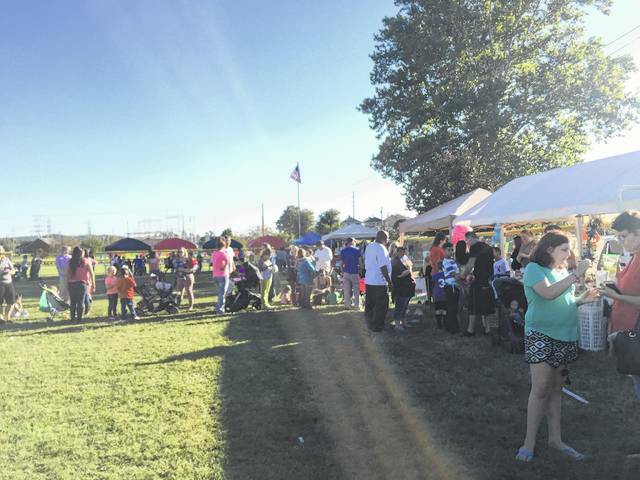 The New Boston community held their first Party in the Park on Saturday. The Party took place at Millbrook Park and featured live music by Shane Runion Band, Bobby Hall and the Floodwalls, Frank Grasso and Karis Blanton, a petting zoo, pony rides, a cartoonist, games, prizes, inflatables, kiddie train rides, a knockerball event, and a corn hole tournament. The party also had community and local business booths and concessions. “We’re about community,” New Boston Mayor William Williams said. “We have a beautiful park here and we wanted to share it with surrounding neighborhoods. Everything was sponsored by the village itself and local sponsors, and volunteers. We just wanted to share our community and show what a wonderful park we have here. Free entertainment, which was offered throughout the afternoon, lasted from 12 to 5 p.m. Many children, adults, and community leaders came out to express support for a splendid afternoon of fun. Party goers swarm the booths and concessions. 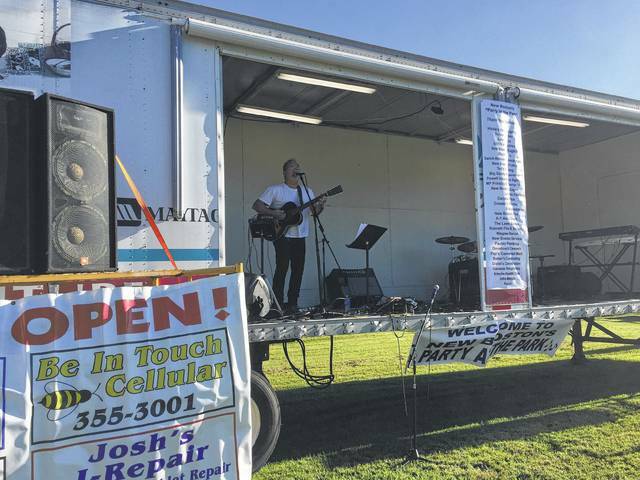 Between all of the aforementioned activities, along with the various bands that performed throughout the day on the historic Millbrook Park grounds, Williams sees great potential in the event going forward. 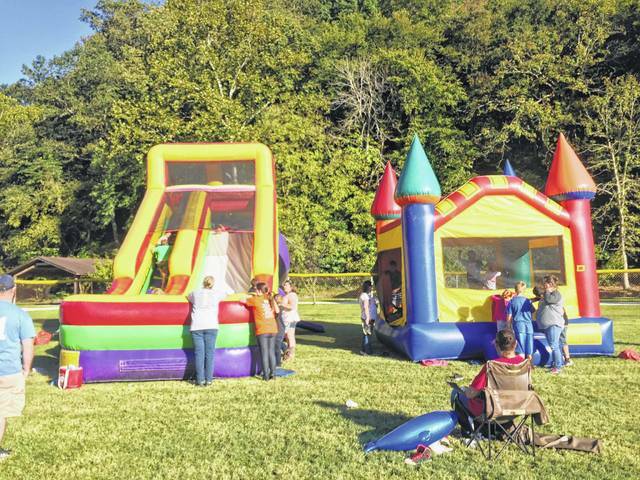 A wide variety of kids activities were offered, like inflatables and pony rides. The New Boston Party in the Park concluded with a brilliant fireworks display and left community members looking forward to next year’s fesitivities. On September 20, Rural King held its grand opening and ribbon cutting. Mayor Williams, Councilmen Mike Payton, Ralph Imes and Don Raike, Police Chief Steve Goins and Village Administrator Steve Hamilton joined the Portsmouth Area Chamber of Commerce in conducting the ceremony. New gravel for the walking path at Millbrook Park plus creek cleaning and other improvements by New Boston service department.